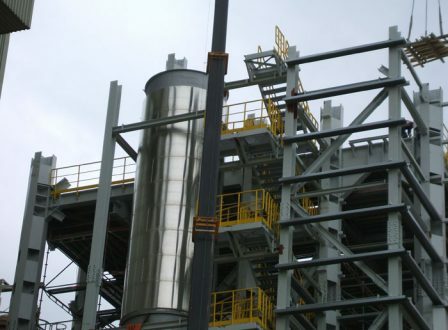 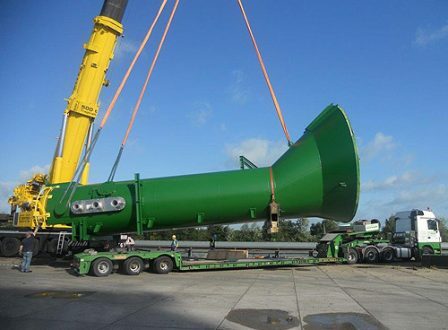 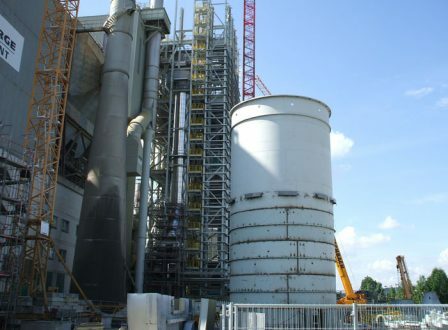 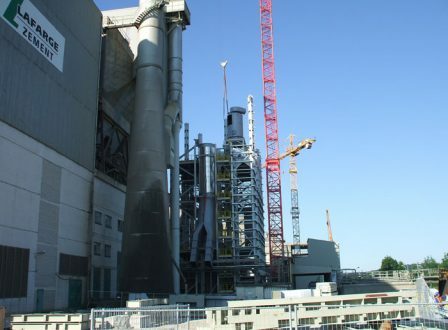 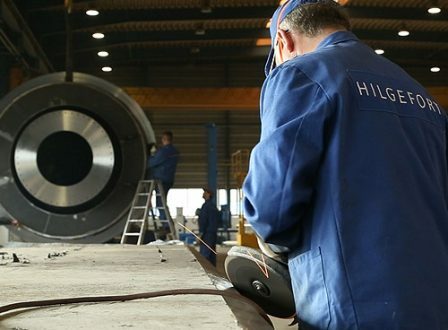 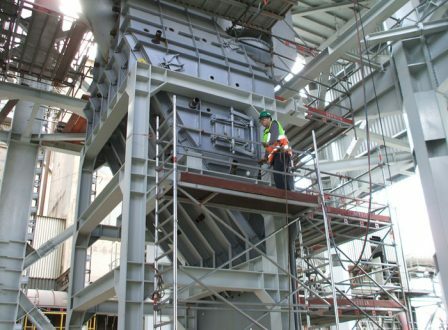 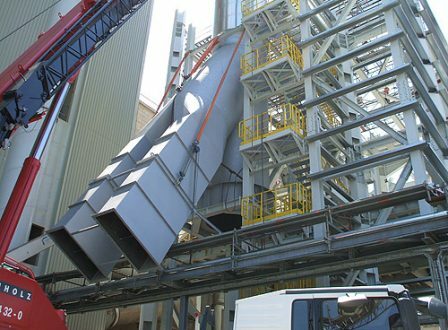 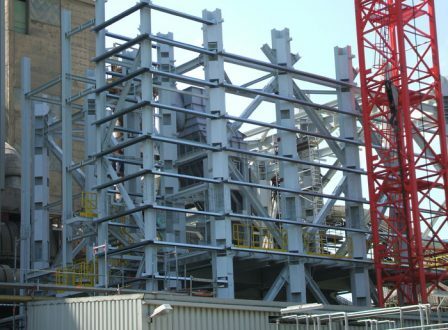 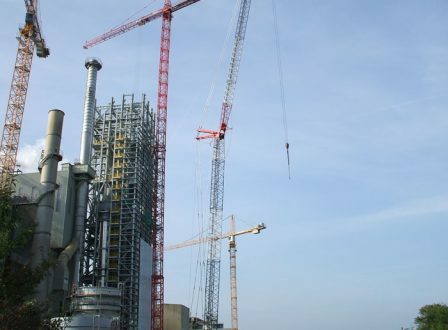 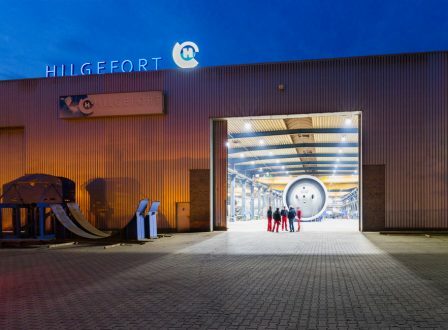 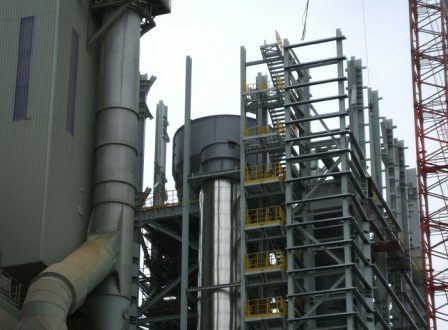 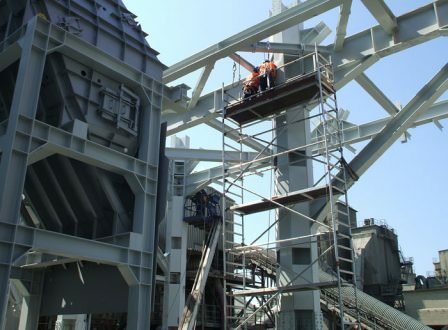 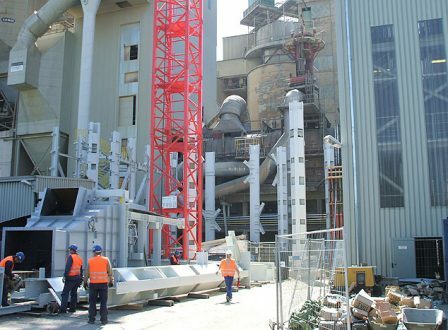 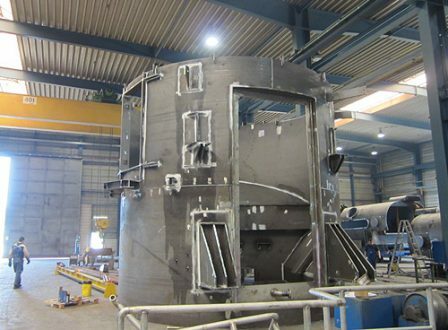 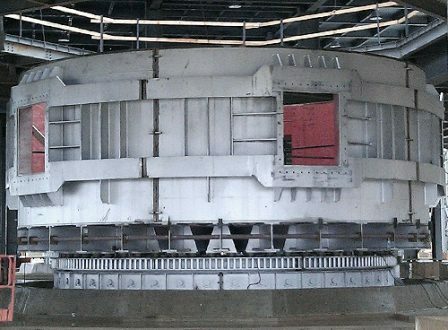 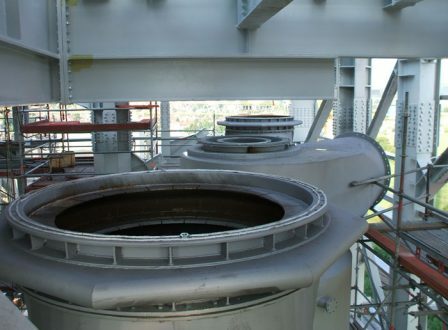 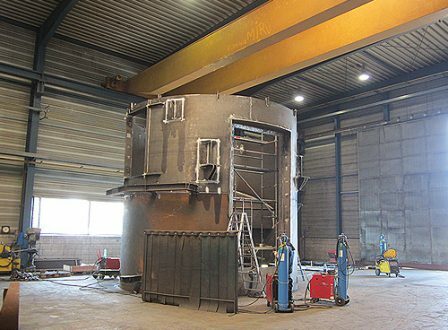 Hilgefort GmbH produced a cyclone separator for a blast furnace and also created a plant in exceptional dimensions and in a very short time frame (July to October). 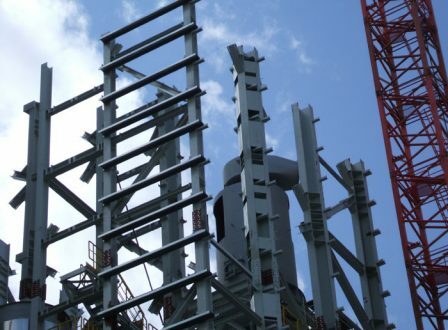 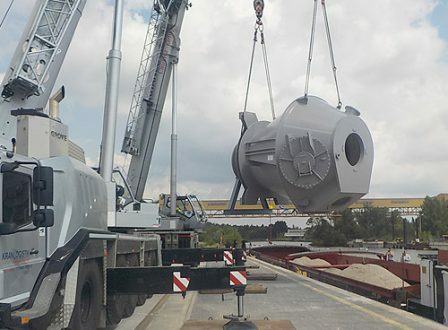 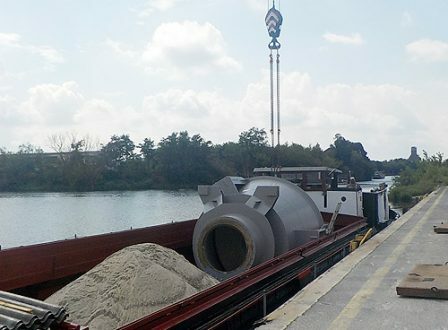 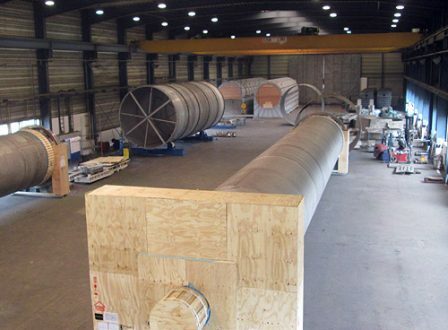 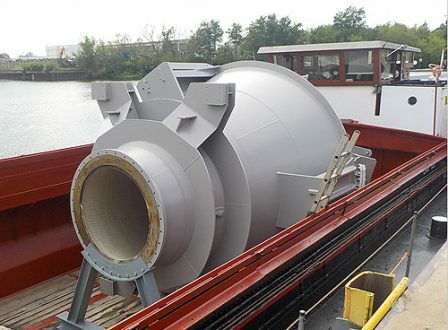 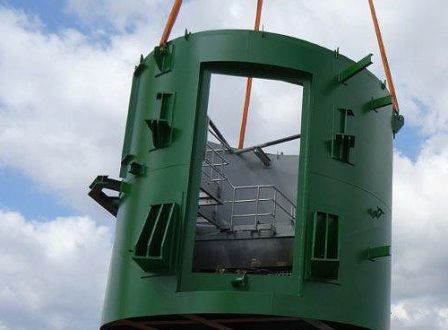 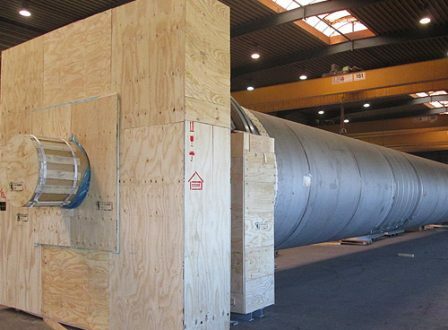 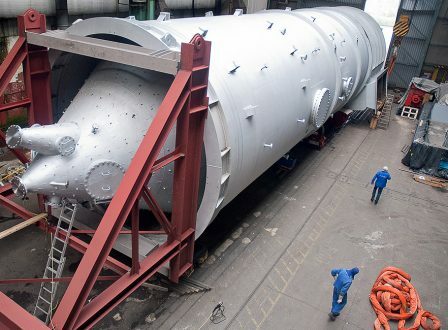 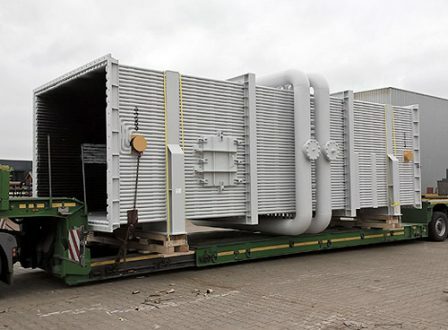 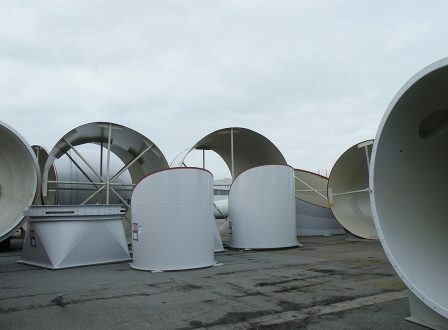 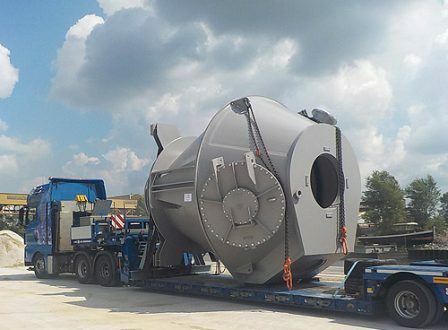 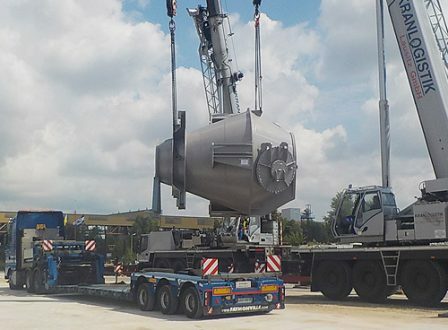 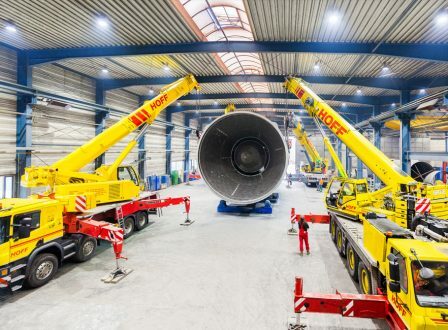 Transport of the largest components possible (H x W: 7 m x 7 m) for rapid on-site assembly Hilgefort GmbH received an order to manufacture and assemble three new granulation systems for blast furnace 7 at a steel works in Ijmuiden in the Netherlands. 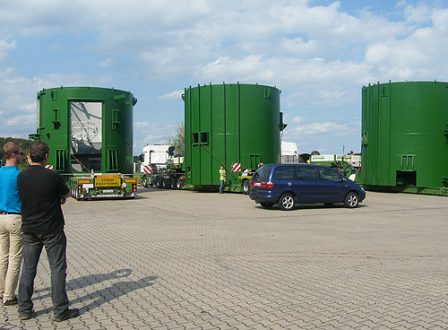 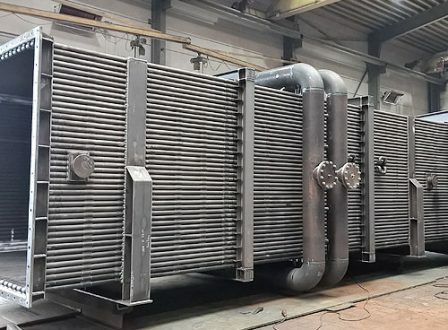 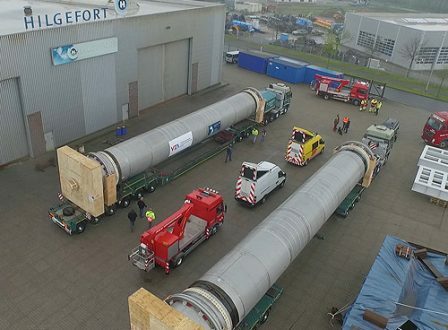 Hilgefort GmbH produced two rotary dryers and two sectional coolers for an industrial plant in Russia. 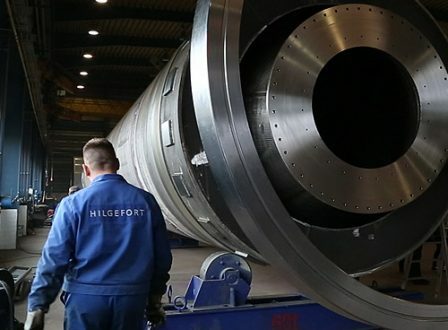 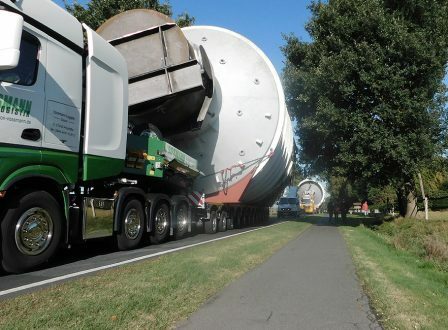 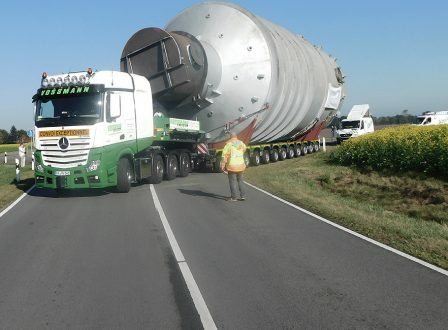 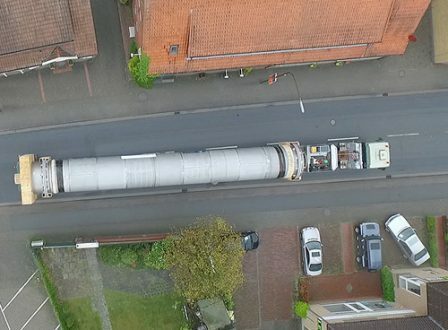 Hilgefort produced a silo and a raw-gas pipeline with a total length of approximately 80 m for a client in the USA. 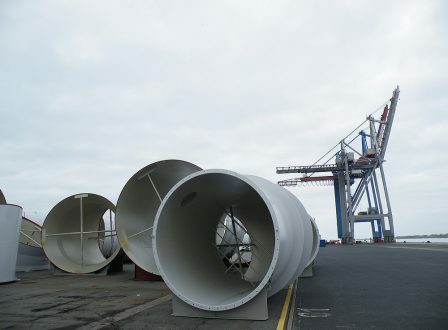 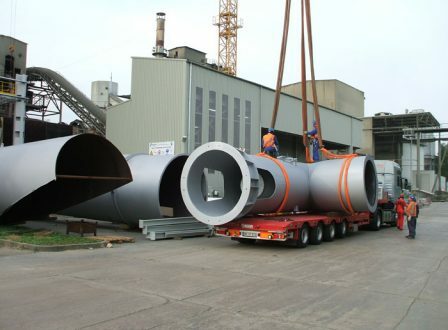 The pipe segments were produced from 12 mm-thick sheet steel in accordance with European quality standards and are 6 m in diameter. 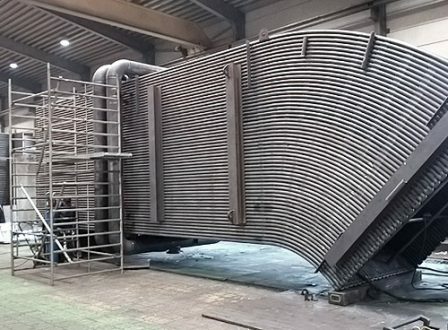 Production of steel components for the heat exchanger in Wössingen, Germany: In an 11-month construction period, 1900 tons of steel and around 800 tons of processing equipment were engineered and pre-assembled in Dinklage. 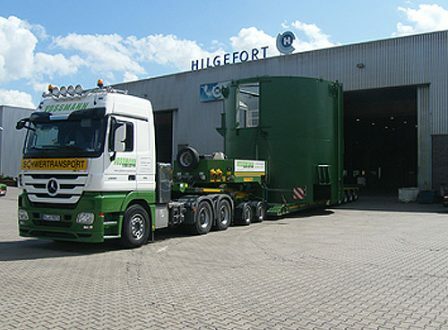 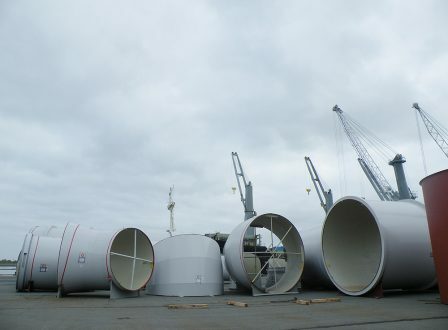 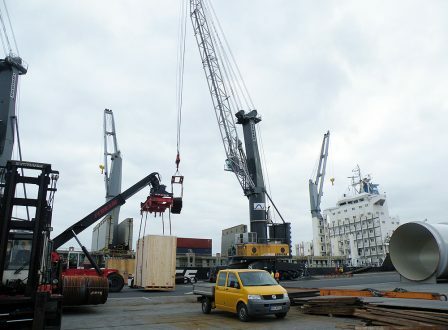 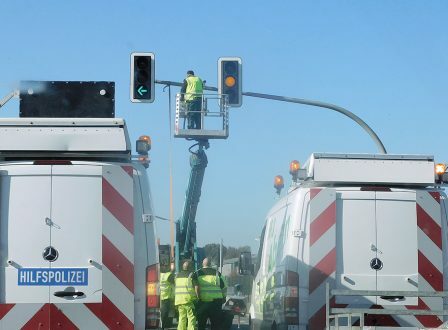 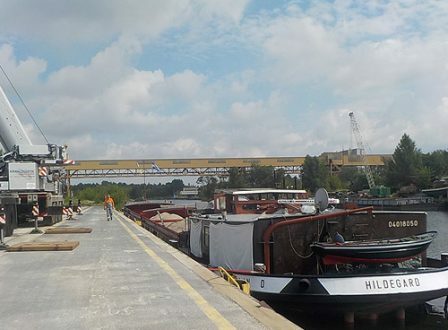 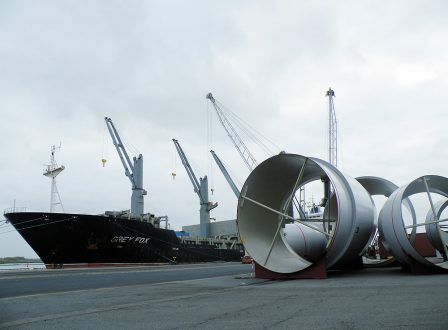 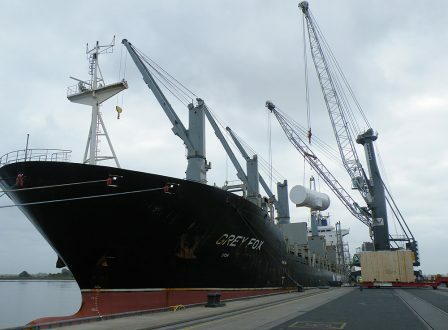 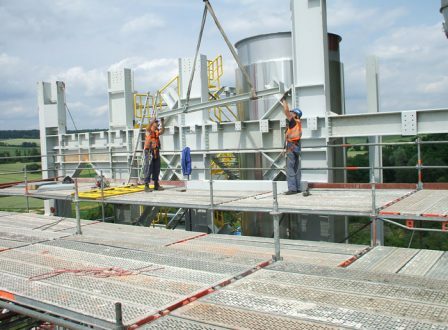 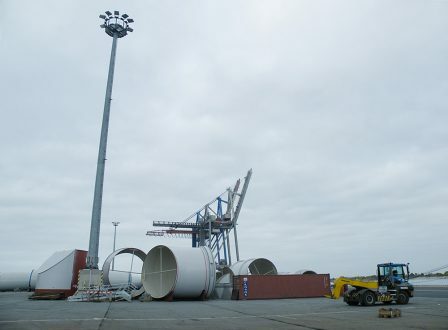 The transport and final assembly were also designed and implemented by Hilgefort, a single-source supplier. 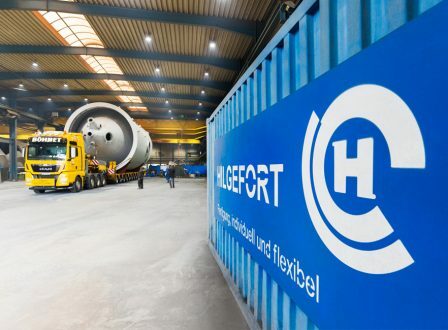 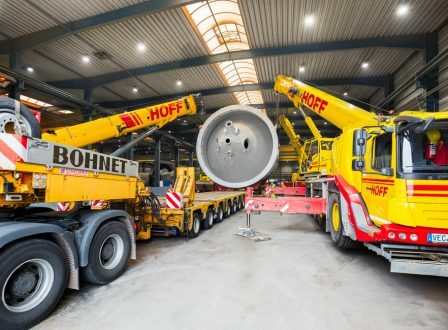 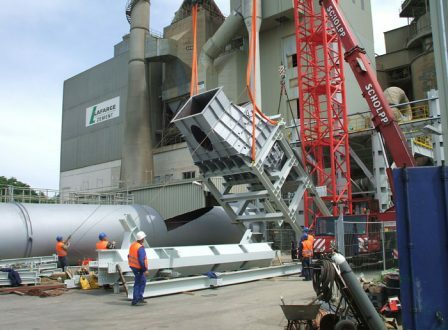 Hilgefort GmbH was commissioned with the production of a material hopper for a blast furnace in Eisenhüttenstadt, Germany. 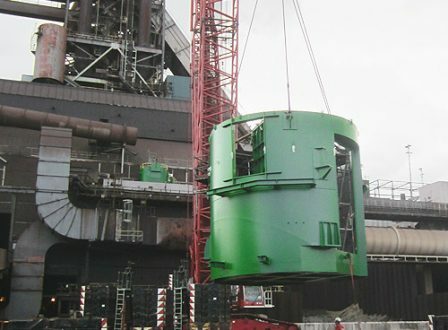 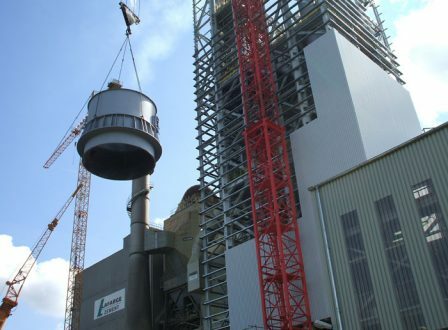 The material hopper was required for the delivery of the new blast furnace 5A in September 2016. 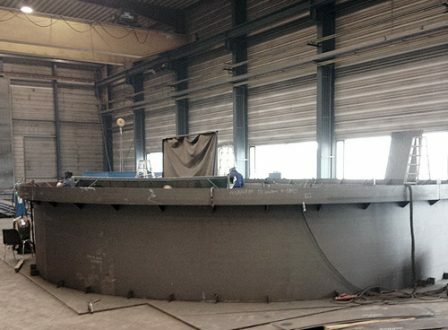 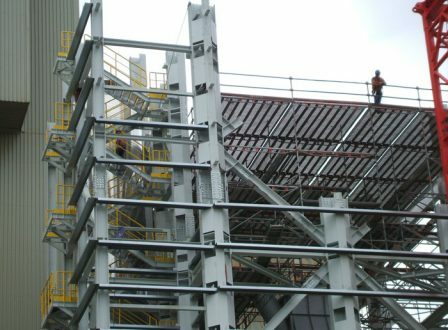 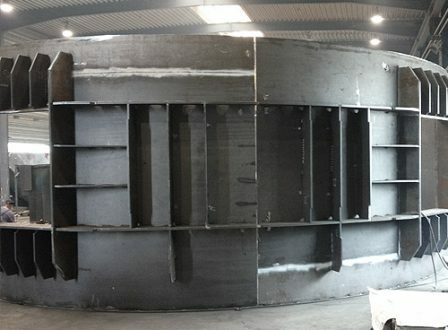 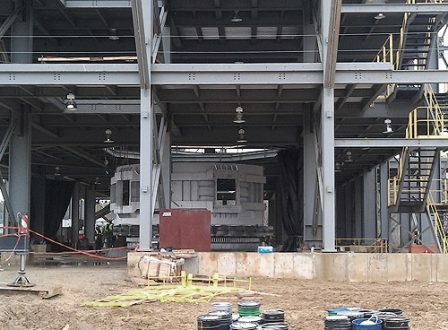 Hilgefort produced a reduction furnace shell using 20 mm-thick sheet metal with a total weight of 120 tons for a new steel works in the USA. 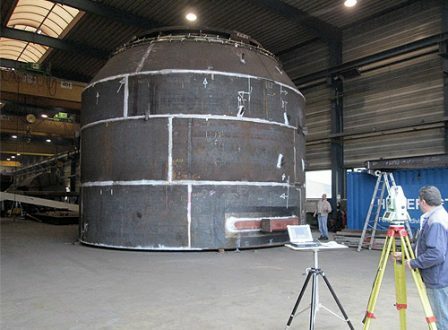 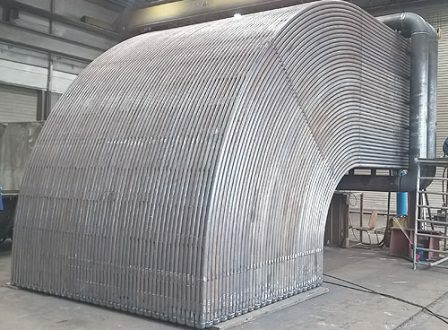 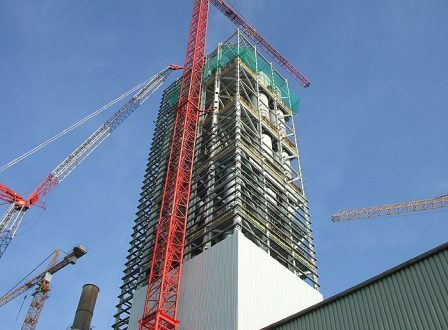 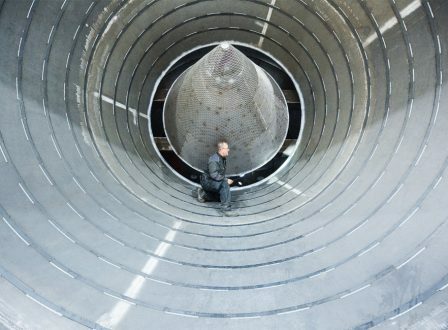 The shell has a diameter of 10 m and a height of 5.30 m. The lining for the reduction furnace shell was prepared at the steel works. 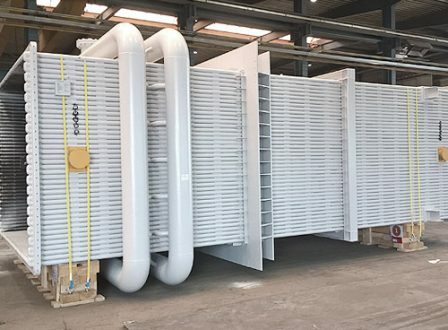 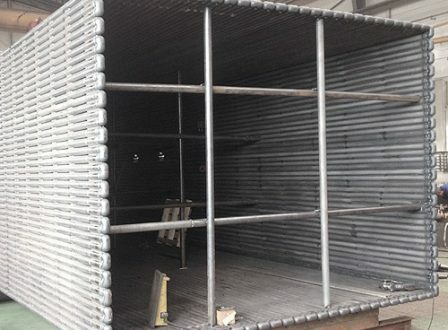 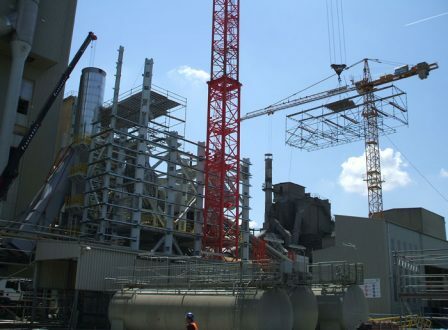 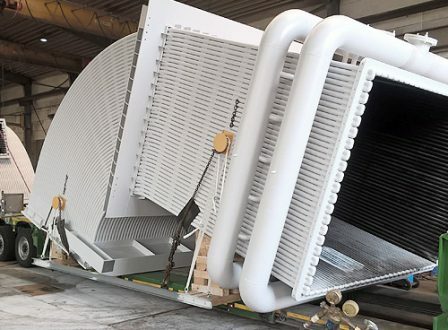 Production of a water-cooled exhaust duct for a plant in the USA. 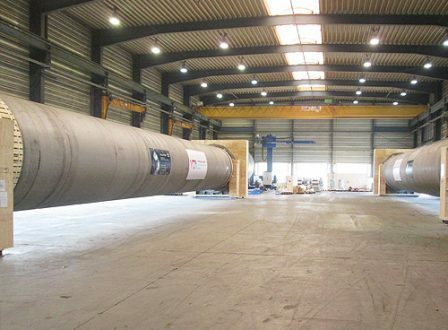 Measuring 70 m long, the total system was produced pipe-by-pipe using redirection caps. 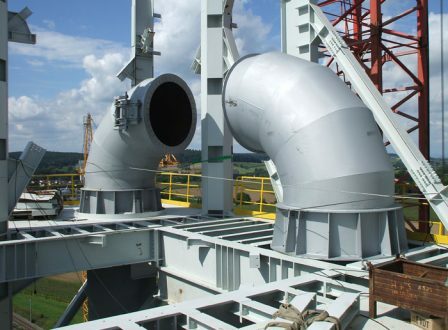 The pipes were welded together longitudinally in pairs. 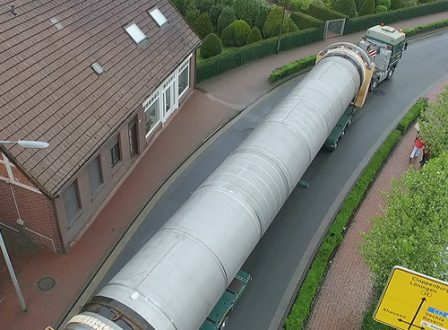 Altogether, around 60 pipes with a combined length of approximately 11 km were installed. 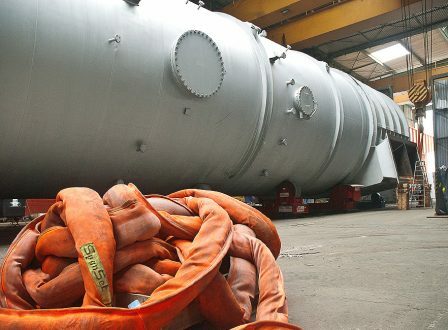 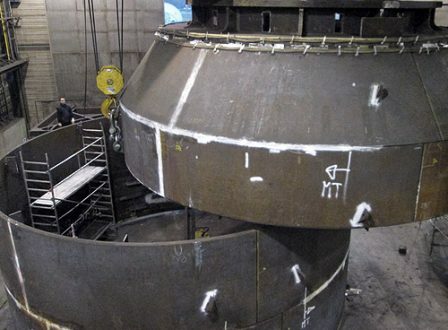 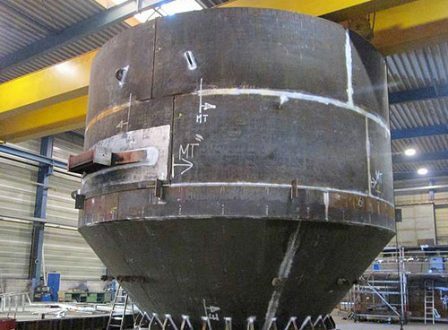 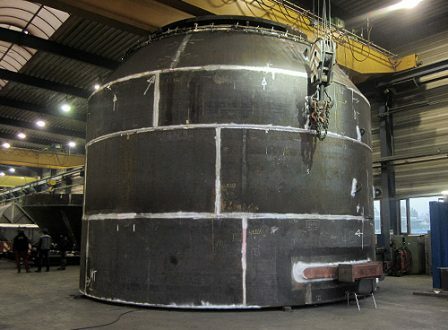 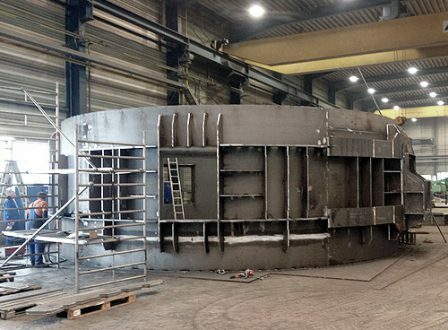 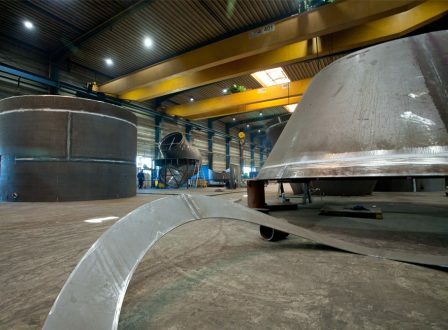 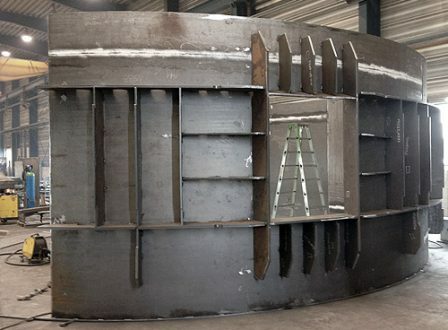 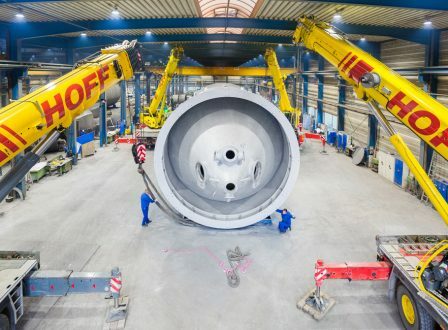 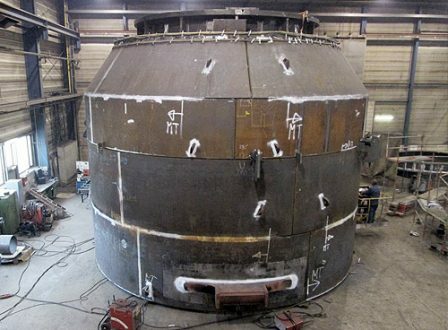 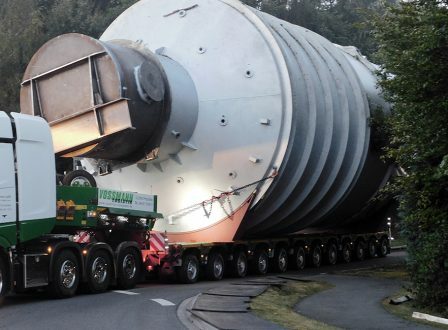 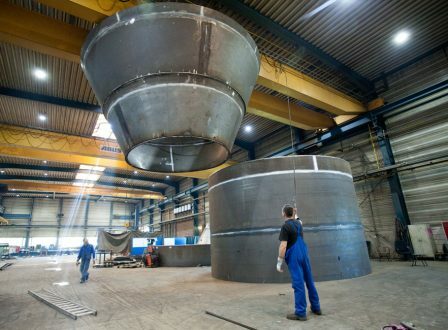 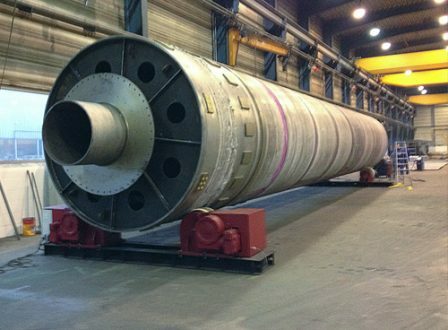 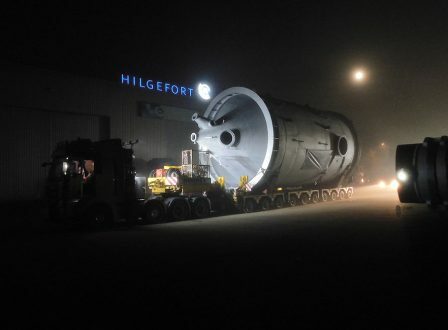 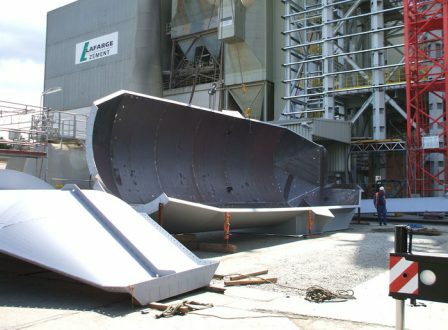 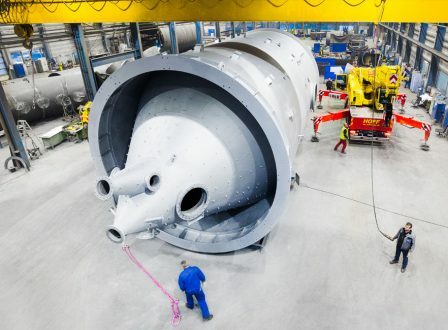 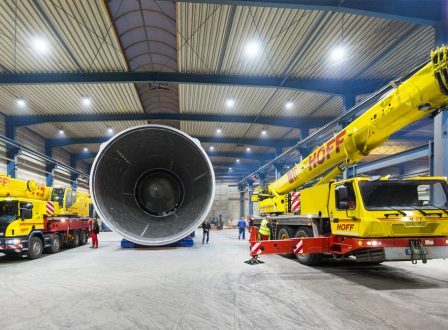 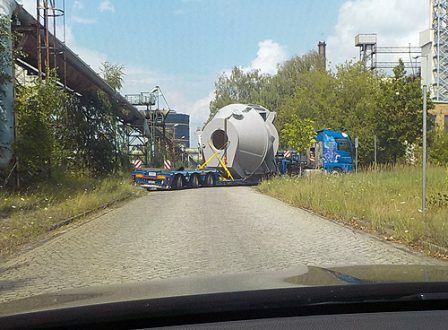 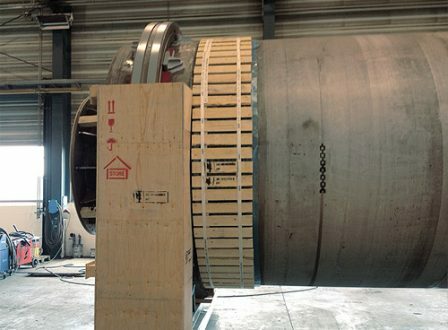 Super thick: Hilgefort produced a converter vessel for a steel works in Duisburg. 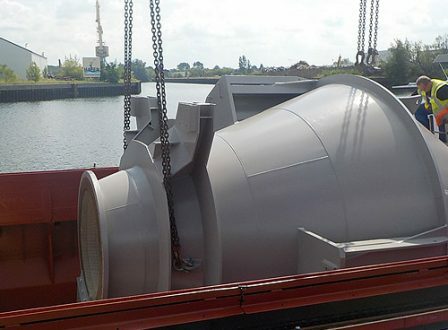 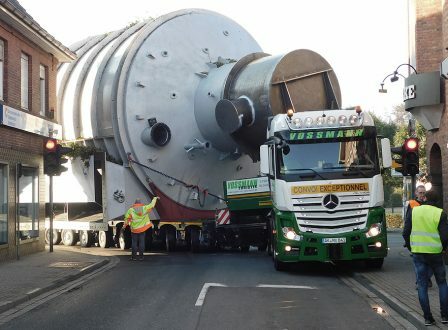 With a diameter of over 9 m, the converter vessel weighs approximately 300 tons and is one of the largest in the world.